SAP has announced a reshuffle of its leadership team in line with its innovation agenda of in-memory database appliance Hana, cloud-first and mobile. 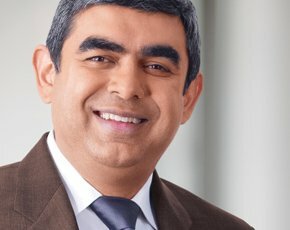 The company will consolidate all innovation under Vishal Sikka (pictured), the member of the executive board of SAP for technology and innovation. Sikka said in a statement: “We are inspired by [SAP founder] Hasso Plattner’s challenge to explore new frontiers and to intellectually renew SAP”. At last week’s Sapphire user conference in Florida, Sikka stressed to reporters the importance to the future of the company of developments such as 431 Hana-centric startup companies -- 41 of which are UK-based -- and the database as a platform for non-SAP applications. He said he wanted to see more imagination and design from SAP. Co-CEOs Bill McDermott and Jim Hagemann Snabe added in the statement: “SAP Hana has become the future innovation platform for our customers and is now radically changing the industry while cloud disruption is redefining the market and business models. By creating one single development organisation under Vishal’s leadership, we will dramatically accelerate the speed of these innovations”. Meanwhile, Lars Dalgaard, founder of SAP's $3.4bn acquisition SuccessFactors, a cloud-based human resources software firm, is to step down from the SAP board and leave the company. He will, said the statement, "continue to play an active role as an advisor to the SAP cloud business". Bob Calderoni, CEO of Ariba, another SAP acquisition, and a software-as-a-service procurement company, will lead the supplier’s cloud business, as president of global cloud operations.